Just a question really: why through hole diodes? When building monome kits (the new ones, the slim, grid kid 128) I found the migration from through-hole diodes to SMT to be really very helpful on repetitive tasks (tin pad, heat pad, slide diode into pad, solder other pad: repeat). 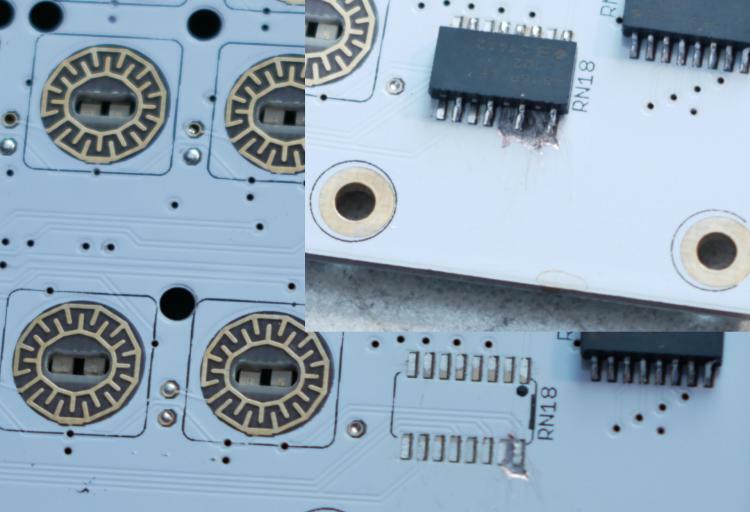 OK you trade the fiddlyness of small easy to incorrectly invert diodes but there is no bending cutting and board flipping and because of the low profile of SMT parts diodes can go on the silicone side easily enough if needed. THT are a cent each in quantity, more for SMT. MELF = mostly ends up lying on the floor, so you'd likely go for one of the SOD packages. Looking at the design again, I think SMT would work on the rear side most of the time (disagree about the front side, you want that as flat as possible), but there are parts of the board where diodes bridge a layer. 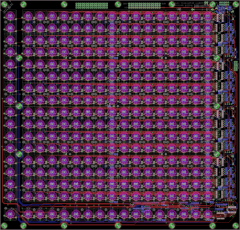 It's a complicated PCB and keeping one footprint simplifies the process. I don't think I'm prepared to redo the whole thing again because it's a lot of work and the risk would be on me not to propagate errors. @latigid on are you going to make this board available again? I have my work cut out with a project at the moment but I'd be interested in getting back into grids at some point but monome is going in a direction that is a bit eurorack-centric for me and the max-msp/serialosc/computer side of things seems to be slipping a bit. I can't do a big order like this without paying taxes. Especially as a foreigner in DE it's not straightforward to wade through all of the bureaucracy and set up a business. I know you've just signed up, but it seems over the last year or so a lot of "puff" has gone out of the forum. It's less desirable to go through all of that without an active community presence (I realise the chicken-egg analogy of supply and demand being mutually dependent). I need to stick my finger in the wind so to speak and also check on my situation here. 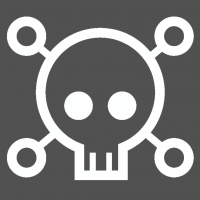 What I'd most like to see is a return to the motto of "Community Designed MIDI Devices" printed as part of the forum logo. It would be nice to see this branch out to other applications other than the SEQ, has it been used anywhere else that you know? @Phatline makes good use of it in his Triggermatrix. When I get an Eagle file I usually look for ways to convert through hole parts into SMD, it helps make things very slim profile for Skiffs and so on and I can get bigger boards into Eagle's Freemium size (I really really must get a proper licence some day). If you ever have a waiting list for boards I'll be get on it. I too would like a PCB for this wonderful project, I hope it happens and I certainly appreciate all the work TK, Andy and others have done and are continuing to do for the Midibox system. Is it just PCB supply holding things up? Could the files be offered to Modular Addict like the MB-6582 and MBSEQ? Sorry, not trying to get on anyone's back. Quite the opposite, thought maybe it would help to offload some of the work of doing a bulk order (which is a rough job). 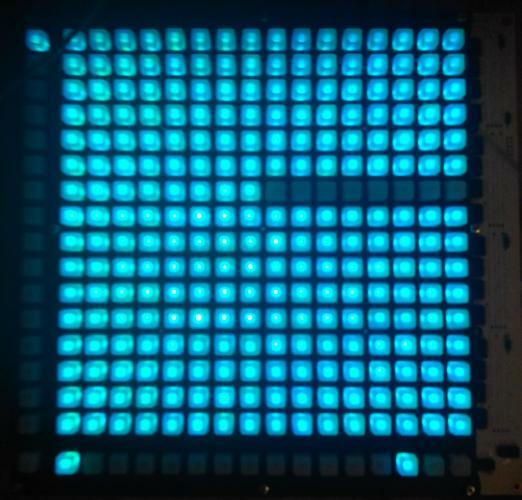 -while soldering i replaced rn19, and lost some pads... which pad is for the last 4 leds? i also used a hot-air fanl, so maybe ic19 (next to rn19) could be faulty? where to start debuging? thx for help. These LEDs are all connected to RN19, pin 10. 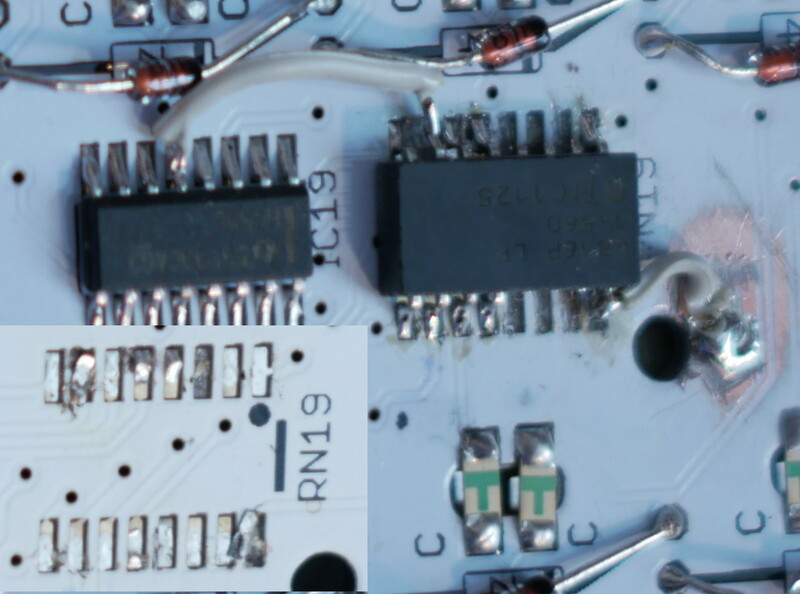 Pin 7 of RN19 then connects to IC18 IC19, pin 5. This is the main thing. Well done! 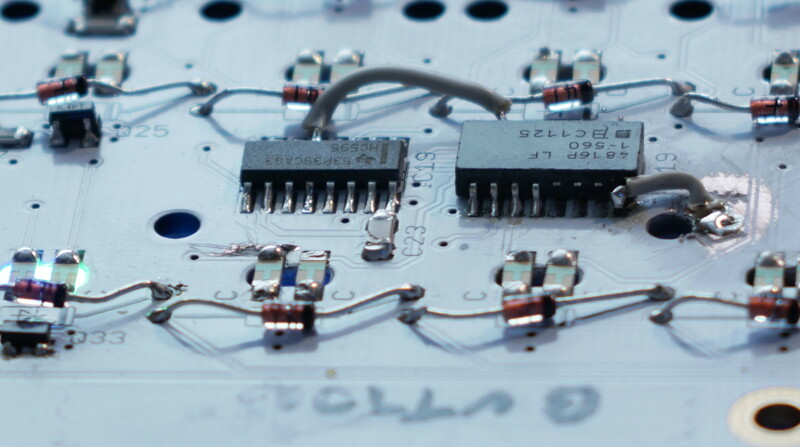 Your second photo represents the problem nicely: sub-optimal registration between the soldermask and copper plane. This, along with a) white soldermask that typically scratches easily and b) a 0V plane with tight clearance to the signal pads, can lead to these annoying ground shorts. I'm sorry for the hassle. This was a few years ago now, nowadays I increase the clearance :). Another “please let me know when Board’s are available again” reply. Will do. Current focus is on the SEQ v4+, LoopA etc.